STAFFORD, VA (WWBT) - A woman in Stafford County is facing several charges after driving into the wall of a Bed Bath and Beyond, along with going through a fence and hitting a boulder at an elementary school. Sherry Fitzgerald, 51, of Stafford, is charged with driving under the influence, hit and run, destruction of property and a traffic violation. Deputies were called Saturday around 7:25 p.m. for the report of a drunk driver at a Wendy’s along Garrisonville Road. A witness said Fitzgerald crashed into an unoccupied vehicle and light pole, leaving her front license plate embedded in the pole before she drove away. Another person saw Fitzgerald drive over the curb onto Garrisonville Road and nearly hit several vehicles head-on. She then went over the concrete median across traffic and drove into Stafford Marketplace. The witness said Fitzgerald drove recklessly, almost hitting several cars and objects before she drove into the brick wall of Bed Bath and Beyond. The wall was fine, but Fitzgerald’s car had a heavy amount of damage. Fitzgerald then hit a sign, metal bench and a large flower pot while backing up. 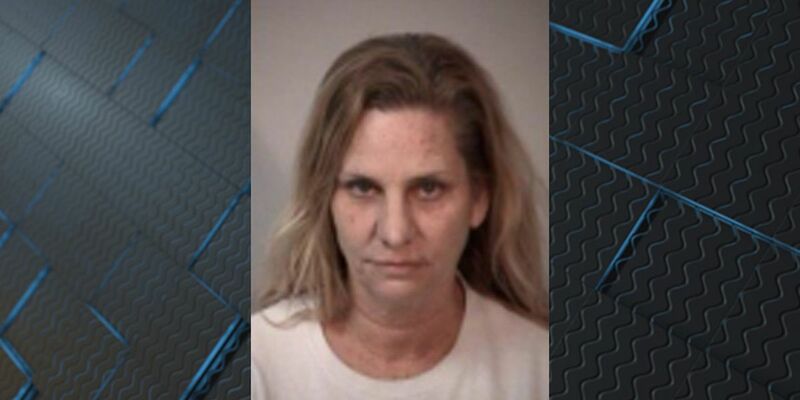 She then drove across Staffordboro Boulevard into a commuter lot before driving through the fence of the Moncure Elementary School bus entrance. She came to a stop in the grass near a playground. Fitzgerald restarted the car and began spinning in the grass before hitting a large boulder in the center of the bus turnaround. Deputies arrived and ran to her vehicle, commanding her to turn it off as she was trying to get the car out of the mud. A deputy then helped her turn the car off and got her out. Deputies detected the smell of alcohol on her and she was unsteady, falling several times, as she was escorted to the cruiser. Fitzgerald admitted to drinking alcohol and taking multiple over-the-counter drugs, as well as prescription medication that was not prescribed to her. She is being held at Rappahannock Regional Jail on unsecured bond.